If taking some time off is an option, then do it. However, sometimes there may be reporting/monitoring processes and or timelines which can’t be postponed. Hopefully the following tips will help if you’re ever in such a situation. Real life experiences have great meaning. Perhaps take this opportunity to teach your children about death and grief. If there’s any time to go light on the curriculum, now is the time. Do the bare minimum to keep your children on track with their learning. Now is the time to watch all those Bill Nye videos, educational YouTube channels, and documentaries. This is also the time to pull out your audio books. While your children are listening to a recorded book, you can steal a few moments for yourself. Be gentle on yourself and your children. Make sure to take lots of breaks. Let your children know you need a break, set them up with an activity or give them a break too. Make sure to cry when you need to cry… it’s such an important part of the healing process. Take the learning outside. Nature is such a healing force. Breathe in the fresh air, soak up the sunshine, and move your body. It’s good for you and your children. Call on a fellow homeschooling friend or a family member. Perhaps they can supervise your children while you take a break. There are also some things that we can do in advance to lessen the challenge of homeschooling through grief. If your children can handle it, teach them self-discipline at a young age. When they have self-discipline, they work through their tasks with much more ease. Sanz over at From the Mrs. shared this lovely strategy a couple of years ago and I often use it with my daughter. We have all of her “work” written on clothespins. At the beginning of the day, I put the clothespins on the side of a bucket. As she completes a clothespin task, the pin is placed in the bucket. Once all of the clothespins are in the bucket, she’s done for the day. As I mentioned last week, we’re switching to year-round homeschooling. One of the reasons for this is that we’ll have more flexibility to take time off when we need it. Hence, if we need time off for mourning, we can take it off without the pressure of feeling like we’re falling behind on our learning. Do you have any suggestions on how to cope while homeschooling through grief? These are all amazing tips. I haven’t gone through the grieving process while homeschooling, but I have experienced it. We did, however, need to put our family dog down about a month ago. It was heartbreaking, but I found school to be a welcome distraction. It’s important to have those moments where life feels “normal” again. Another great post Jennifer! 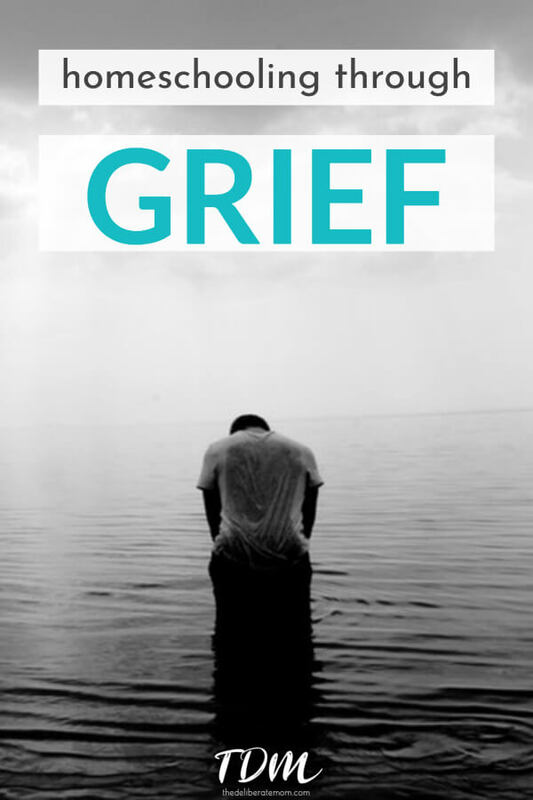 Teaching while grieving was one of the hardest things I had to do. However, the experience has taught me how to handle it in the future. I’m so glad you enjoyed this Katie! What great tips and I couldn’t even imagine. I mean I have had losses, but never had to teach my own kids through them. I had to teach other people’s kids (as a teacher myself) when we lost my grandmother, but still wasn’t my own if that makes sense. Hugs and thank you for sharing!! :) xoxo!! Homeschooling through grief was a huge challenge. The motivation to get anything done was so low… but I learned so much from the experience too. Thanks for sharing your thoughts on this Janine. I am sorry that you had to homeschool through grief. I haven’t experienced that, but I have homeschool through pain and illness. Your advice and tips are spot on! Thank you for posting this! Homeschooling through grief was one of the toughest things I had to do. I lacked vision, inspiration, or any desire to do anything at all. My patience was low… it was awful. However, from it, I stumbled upon some great coping mechanisms. I just had to share them in case anyone has the misfortune of having to homeschool through grief as well. Thanks for sharing your thoughts on this Echo. The roughest time for us was when my foster-mom passed. I was so very thankful for Netflix, SpellingCity, and flashcards. I love these ideas just as much, maybe better. I’m sorry to hear of your loss Jackie. Homeschooling while grieving was one of the toughest things I had to do. It sounds like you had some good coping mechanisms. Thanks so much for sharing. Hi Jennifer! These are certainly issues that I would have never thought of for homeschooling moms. I remember both times you suffered with the death of your friend and Grandmother. Getting help is a great thing, if you have resources for that. If not, nothing like a video. My grandchildren are riveted to them. I call them ‘kid crack’. I would definitely use them. Very practical advice, and needed to! It’s odd how I stumble into things and think… this would be a “non-issue” if she was in school. As hard as it is though, I love homeschooling. Getting help is HUGE and something I need to do more of (even when I’m not grieving). Thanks for sharing your thoughts on this Ceil. This is a great post. Grief can strike at anytime and it’s never a good time. I love the clothes pins idea from that other blogger, but my favorite suggestions were be easy on yourself, lighten the load, and step outside. You’re such a treasure! I never consider grief to “interfere” with homeschooling until I was faced with it. I’m happy to share my survival tools with anyone who has the misfortune of having to deal with something similar. Thanks for sharing your thoughts on homeschooling through grief. I am sorry about your loss. I am glad you some how managed to get by. It is well. 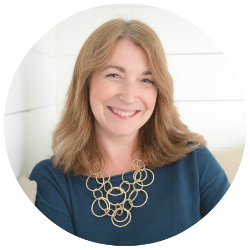 Grieving is a topic many of us choose to be silent about but it is a very real emotional issue. The Lord strengthen you and thanks for sharing these tips. Thank you Ifeoma. Death and grief are never easy. I learned a lot as I went through the process and I have realized that each loss is a different type of pain. Thank you for sharing your thoughts and kind words on this. You shared some great tips, and I am sorry for you loss. I have found the key to getting through things like this is to plan ahead, because honestly LIFE happens (allow buffer room)! I also think you can never underestimate the power of a good book and educational videos. With those school can go on and we can take the time we need to heal. Thank you for your condolences Misty. You’re right, planning ahead is critical. I’m excited to get my “buffer room” when I switch to year-round homeschooling this May. I think that makes a world of difference. Bravo Jennifer! I almost think your tips could be for even just dealing with grief or difficult situations when kids are at home. I have had 4 preschoolers/toddlers who were primarily at home over the years and I did home school preschool. I remember that there were times I just wasn’t up to my A game and then I had to remember to be kind to myself and find a way to make it work. The clothespin idea is brilliant! I’m glad you enjoyed this Jen! Yes, it’s important to be gentle on ourselves, especially in the midst of trials and grief. I can’t imagine the responsibility of homeschooling, especially during the hard times. I love the clothespin idea and all of your tips. I love the clothespin tasks too! That Sanz is brilliant I tell you! I think these are really great tips. Though, I have never homeschooled while grieving. I have homeschooled pregnant and understand about not having the option of sending your kids to school, when you are just not up to teaching, but having to pick yourself up and homeschool no matter how you feel. I have used these strategies when homeschooling while sick too. I can imagine how hard it must be to homeschool through pregnancy. I learned this through experience. I hope my experience will help others who have the misfortune of having to homeschool through grief. It’s definitely challenging. Thanks for sharing your thoughts on this subject Lindsay. Well, you know this post hits close to home for me! Thanks for sharing these tips to help others going through difficult times. Thank you Renee. I’m so glad you enjoyed this and that it spoke to you. It’s my hope that it does help others who are experiencing hard times. I love how visual the clothespin idea is! Brilliant! I may have to try that. I love using the clothespin tasks. Of all the visual prompts I’ve tried… this is the most effective. These are great tips for us even if we’re not homeschooling yet. :) This life has trials, but how we work through them helps to instill those coping mechanisms in our children. Keep up the amazing job you’re doing with yours! Thank you so much Sarah. I hope these tips help others through the huge task of homeschooling in the face of grief. What wonderful tips Jennifer! I can’t even imagine having to continue teaching while mourning like that. 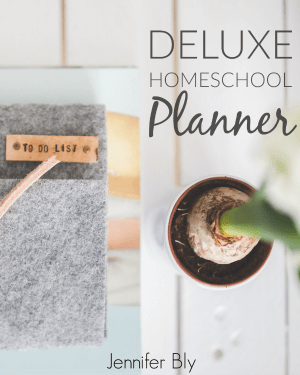 I had a rough go of mourning last year and couldn’t have functioned enough to homeschool too! Thanks for sharing your story and the great tips. Wishing you a wonderful day. I’m glad you enjoyed this Lysa. Sometimes our toughest times teach us a lot. I feel blessed to be able to share what I’ve learned with others. You are absolutely right my friend… Our most difficult times definitely teach us a lot! Some lessons I wish I never had to learn though! Wow, so much goes into homeschooling that I would never even think of!! These are great tips for other homeschooling families! Yes, grieving while homeschooling is something I would have never anticipated until I experienced it myself. This is definitely an aspect of homeschooling that I had not considered. 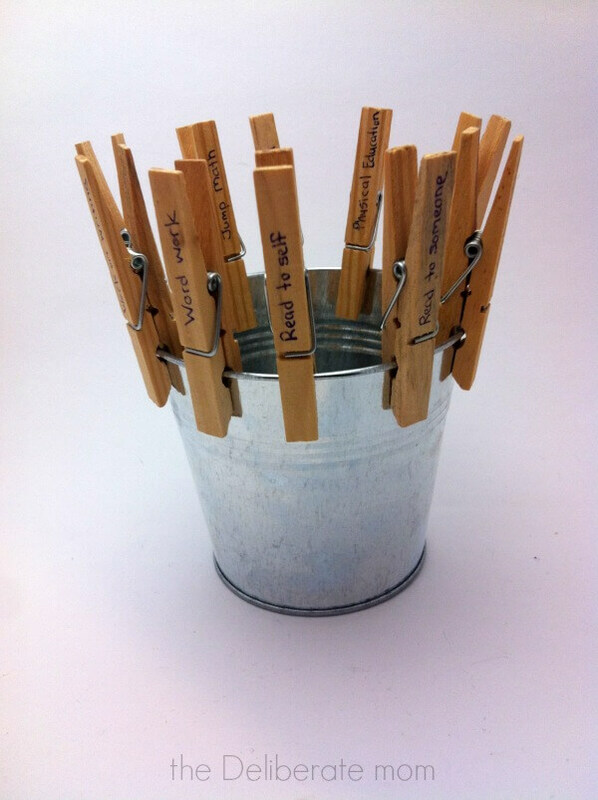 Love the bucket idea with clothes pegs, I think I will have to use that once we really get going! I love using the clothespin tasks. It’s a wonderfully visual way to keep my daughter motivated and on task. 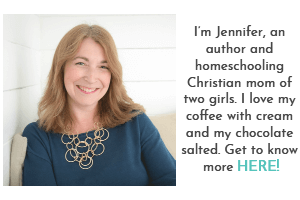 Hi Jennifer, there is so much to consider when taking on the responsibility of homeschooling. It would never have occurred to me that when life strikes, homeschooling must go on! I love the clothes peg idea for getting things done. I may try that one day with Greg’s, we are trying to find a way of getting him to get things done without having to be nudged. And all year homeschooling sounds like a good idea, just so long as you remember to take a break…Or your children might just finish their schooling long before their peers! I never considered the possibility of homeschooling through grief until we were faced with it. I’m glad that my experience may be able to help others who may have the misfortune of homeschooling through grief. The clothespin idea is a wonderfully visual idea to keep kids on task. I highly recommend it! 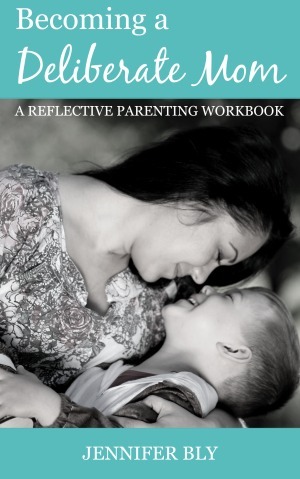 These are not only great for homeschooling but any time you’re grieving. I wish I had these steps in place when my dad died and after I came back from seeing my mom this past Christmas. I am now getting therapy and it’s helping a LOT. Yes, I guess a lot of these strategies could help when grieving. I’m glad you’ve found someone to talk to… and that it’s helping. This is just beautiful Jennifer! I’m a public school teacher & can tell you that these tips and ideas are just as good for teachers like me as home school teachers like you. :) Thank you for sharing, keep up the great work. I’m so glad you enjoyed this Tiffany. Yes, I can see how these strategies would transfer well for teachers too. Thank you for your encouraging words. These are awesome practical tips for anyone in this or other thought consuming situations. Being with your kids 24/7 and going through sorrow or struggles and worries of any kind is going to require tools. I love the clothes pegs and the bucket… There are a lot of ways that one could be used :-) I might try it out for our morning rituals!! I love the clothes pin tasks as well. It’s such a visual way to keep my daughter motivated and on task. I think it would work fabulously with morning rituals! This past year we learned a lot about how my family deals with grief. It’s a confusing time period. If I was homeschooling directly after the tragedy we experienced, I think I would have definitely made a lesson of it. We were doing it without even officially “homeschooling”. I would also take time off to do field trip activities without any extra work but visiting. A documentary or movie wouldn’t do well with me bc when I experience grief, I need to make my mind escape. This is a really great idea list. Oooh yes, field trips are a good idea. Although for myself, I wouldn’t have been able to do that for at least a couple weeks. I was a weepy mess on both occasions last year. I love the clothespin tasks… it really keeps my daughter motivated and focused. Wow, I hadn’t even really thought of having to deal with something like this during homeschooling. Your blog is totally prepping me for the adventure ahead. I really love the idea of taking the learning outside because nature really is so healing. I also love the bucket idea and would’ve loved that as a child! Another great post as usual Jennifer, hope you have a lovely weekend! I’m glad you enjoyed this Jessica. The outdoors are so inspiring and healing. I find a nature walk can completely lift the spirits and calm the mind. The clothespin tasks are such a visual way to keep my daughter motivated and on task– I love it! The clothespin tasks work beautifully for my daughter. She needs visual motivation– it really helps with that. I’m glad you’re enjoying my homeschooling posts Cindy! I’ll try to remember– I have a post that I would love to link up this week! These are some really great strategies, Jennifer! I’m so pleased that the clothespin tasks has been a successful method for you. It was for us for a long time as well. (Maybe we’ll even go back to that!) Nature is balm for my soul and can heal, energize, and soothe. The clothespin tasks has been so helpful for us Sanz! I just love it. My daughter needs those visual cues… so it’s perfect.